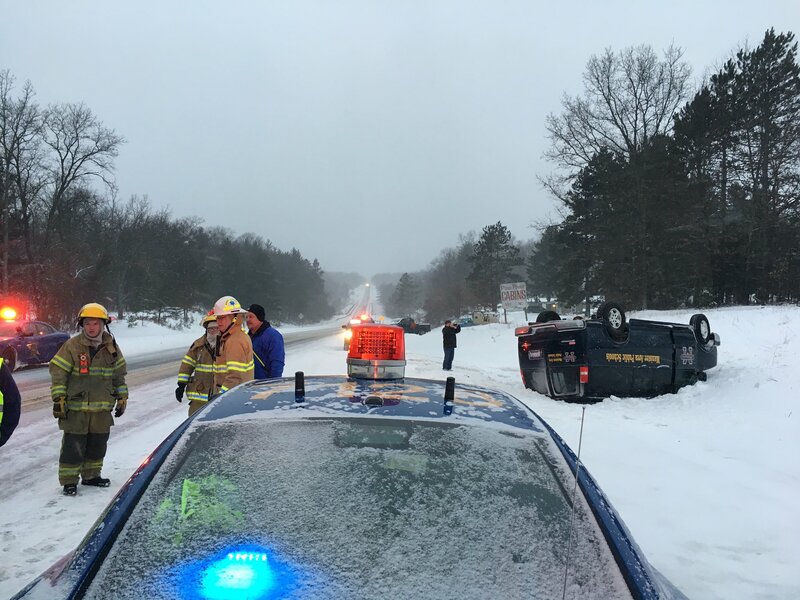 No one is seriously injured, but the Manistee Athletic Director says five high school boys on the wrestling team were in a rollover accident Friday. Michigan State Police says the school van was traveling east on M-55 near Low Bridge Road when it lost control, went into the ditch and rolled. Two adults were with the five students. MSP says the driver was cited for driving too fast for conditions. Athletic Director Matt Kieffer says says no one is seriously injured, but they were getting checked out at a local hospital and parents were picking them up. The team was headed to a wrestling meet scheduled for Saturday in Grayling. Grayling’s Athletic Director says Manistee’s coach has assured them everyone is OK, and Manistee is still planning on attending the tournament. Stick with Northern Michigan’s News leader for the latest updates.